The Google+ community apparently values what its chief competitor has to say over its creators. That's the takeaway from a site that purports to keep track of the 100 people with the most followers on Google+. The list says Facebook CEO Mark Zuckerberg is the most-followed person on Google's newborn social network network—beating out Google CEO Larry Page and company co-founder Sergey Brin. 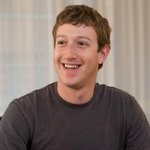 Zuckerberg stands atop the list at socialstatistics.com with 29,543 followers. Page holds the No. 2 spot with 19,878, and Brin is fourth with 15,636. Vic Gundotra, senior vice president of social for Google, is No. 3. The rest of the list reads like a who's who of tech geeks and media people, with This Week in Tech's Leo Laporte, TechCrunch's MG Seigler, and Mashable's Pete Cashmore all placing in the top 25. The creator of the site, The Next Web's Boris Veldhuijzen van Zanten, says he crawls Google+ once a day for the rankings. He manually chose the people to keep track of, but he expects to have the site actively search for new accounts soon. As for why he chose mainly tech people for his list, Zanten says that's who's there. "I think the technical elite got to it first," he told PCMag in an online chat. "So that influences the results now. Was the same with Twitter at first. The rock stars and politicians came later." Although there's been some question as to whether the Zuckerberg profile on Google+ really belongs to the Facebook founder, tech blogger Robert Scoble (No. 5 on Zanten's list) has apparently confirmed that it's genuine. Scoble tweeted on Sunday that Zuckerberg had responded to a text, saying "Why are people so surprised that I'd have a Google account?" Even though Zuckerberg is on more follow lists than anyone else on Google+, he has yet to post an public update on the network. Visitors to his profile page are met with the default "There are no messages to display" notice. In his About page, he succinctly says "I make things," and lists Palo Alto, CA, as a place he's lived. Zuckerberg likely now has even more followers since Zanten's site last made a tally, since his profile shows that 34,759 people have him in their Circles (Google+'s way of organizing friends) as of this morning. Zanten is apparently crawling more than just follower data for his site. He says his statistics show a wide gender gap among the users of Google+. The current ratio of men to women on the network is 88 percent to 10 percent, he says, with 2 percent listing their gender as "other." Before counting followers on Google+, Zanten created the site TwitterCounter.com, which is said to track statistics of over 14 million Twitter users.